I have always found it exasperating the way politicians rarely admit being wrong. They should simply say “sorry, I made a mistake, but I learned from it and won’t make that mistake again.” Instead, they evade, they prevaricate, and they spout spurious justifications. 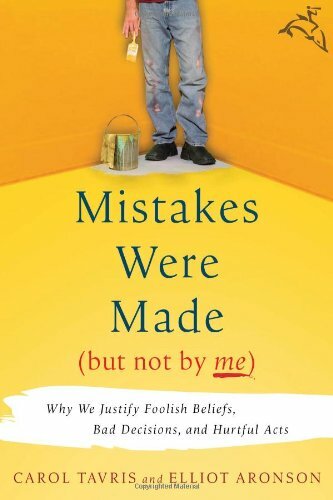 Why do they do this, even when (as described in this book) owning up to mistakes will often actually make them more popular? Mistakes Were Made (But Not By Me) offers an answer. When we make a mistake, our self-image (I am smart and moral) conflicts with the facts (I just did a stupid and bad thing). This leads to feelings of cognitive dissonance, which our minds find intolerable. To reduce the dissonance, we should change our self-image (I am smart but sometimes I do stupid things). But instead, we try to change the facts (it wasn’t really a bad thing because it was for their own good and only I was smart enough to realise that). 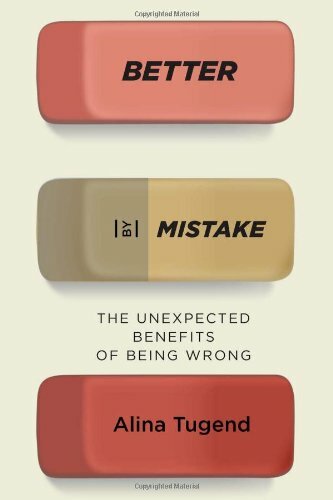 “The Unexpected Benefits of Being Wrong” is the subtitle of this book and a pretty good summary of it too. We tend to feel bad about making mistakes, but Better by Mistake helps remind us that mistakes are one of the most important learning tools we have. Two of this book’s ideas resonated with me. The first is that effort is more important than results. I think this is particularly true for people as they are growing up — you learn more from trying and failing than you do from effortlessly succeeding. I have found that children (mine and others’) respond more positively when praised for effort rather than achievement — they keep on trying, rather than just basking in the warm pleasant glow of approval.